Pagans tackle the Knights of St John with terrible consequences in the new medieval thriller by Queen of the Dark Ages, Karen Maitland. Set on the wilds of Dartmoor, this is a ghostly tale for fans of The Essex Serpent or C. J. Sansom's Shardlake series, and readers who can't wait for The Burning Chambers by Kate Mosse. 'A dark read... fear and hysteria are portrayed with claustrophobic skill' The Times on THE PLAGUE CHARMER 1316. On the wilds of Dartmoor stands the isolated Priory of St Mary, home to the Sisters of the Knights of St John. People journey from afar in search of healing at the holy well that lies beneath its chapel. But the locals believe Dartmoor was theirs long before Christianity came to the land. And not all who visit seek miracles. When three strangers reach the moor, fear begins to stir as the well's waters run with blood. What witchcraft have the young woman, the Knight of St John and the blind child brought with them? The Sisters will need to fight for everything they hold dear as the ghosts of the Old World gather in their midst. Every time I read a new Karen Maitland book I have this fear that the spell is going to be broken – well not this time. For me, Karen is the master of the medieval thriller with a twist of supernatural menace. England in the 12th century sits on the edge between religious belief and pagan superstition, nowhere is this more prevalent than on wild expanses of Dartmoor, or previously known as Dertemora (Moor in the Dart valley). A Gathering of Ghosts is a brilliant book full of atmosphere that takes you into an eerie, foreboding, superstitious world where legends and myths are all too close. Karen’s writing pulls at every physical sense that captivates you and keeps teasing with demonic forces that are terrifyingly close. The central location of the story is the Hospitaller’s Priory of St Mary, in a remote location in Dartmoor and its surrounding area. In the surrounding area, camps of ‘tinners’ are ferociously mining the landscape for tin to provide King Edward II with the materials he needs to build weapons for his wars. This scenery is vividly brought to life and the weather-beaten conditions create a dark and dreary rain-soaked landscape, adding to the overall sense of damnation. The Priory, run by Prioress Johanne, houses an ancient well that the church is built on and they have dedicated it to St Bridget, although the locals originally know it as Bryde’s Well. Various unconnected characters have apparitions of a blood-drenched scene and are drawn to the Priory – for what, they do not know. One of these visions is seen by Sister Fina, the sister responsible for managing the well and the pilgrims that attend it. Flustered and terrified she leaves the underground well to find a deaf-mute boy standing alone in the church. Feeling he is abandoned they take him in and by way of discovering more take him to the blind priest in the hope, he may connect better. The priest’s response is alarming in that he warns them all that if the boy stays he’ll bring down a curse on all their heads. Next morning the priest is dead. Prioress Johanne must keep the superstitions and fears at bay as the priory is visited by Knight Brother Nicholas and his groom, Brother Alban, on a mission to investigate possible pilfering of priory’s monies. She has her own secrets to hide and the game of cat and mouse with Nicholas is full of suspense. The other blood-scene apparitions are experienced by Sorrel, a poor girl disfigured at birth with a deformed arm, and Morwen the daughter of Kendra the former keeper of the well. Kendra is someone that can communicate directly with the spirits and conjure charms and spells. She will pass her gift to one of her daughters but Morwen is not expected to be the one. Morwen is, however, growing in strength as she can feel the spirits. All these characters are really well depicted and play a wonderful part in creating a totally immersive story of secrets, threats, superstition, and retribution from the Earth and the ancient world. 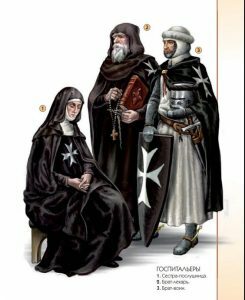 The history of the order of the Knights of St John of Jerusalem, also known as the Hospitaller Knights Brothers and Sisters, is really interesting and although aligned with the Templar Knights, is not as well-known. Originally founded as a hospital in Jerusalem in 1080 they provided care and refuge for the poor, sick and injured pilgrims in the Holy Lands. 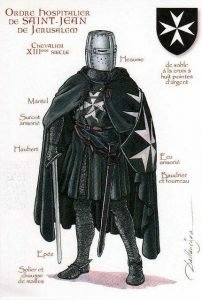 Today St John Ambulance takes its name from the Hospitaller Knights. Karen Maitland undertakes deep research in the background to her books but doesn’t allow it to consume her story. As a way of providing insight into those details, she includes historical notes and a glossary of terms that I find adds fantastic value to the whole experience. I simply find Karen Maitland’s stories totally mesmeric and full of clever suspense. 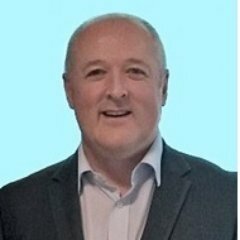 I would like to thank Headline Publishing and NetGalley, for an ARC version of the book in return for an honest review.